Many times I am asked to notarize a will. In California a Will has to be dated and signed by the testator. ... we do not notarize a Will like some other states do. However, what happens if you do not have a will? That is part of Estate Planning. Read this example. Last week the New York Times reported that Aretha Franklin died at the age of 76 without having a Will or Trust in place. The Queen of Soul left behind an estate valued at nearly $80 million dollars, which number is expected to grow, given her valuable musical works. In light of this revelation, many are wondering, what will happen to her assets? Who gets her money? Not her grand kids, charities or her unmarried life partner. Although the star’s failure to sign a Will does not mean immediate peril for her estate or loved ones, the lack of proper estate planning will result in unnecessary delay and the loss of millions of dollars. When a person dies without having a valid Will in place, a set of state laws called intestate succession provides that a decedent’s property will pass to his or her direct surviving heirs. 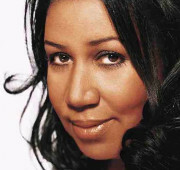 In Aretha Franklin’s case, she is survived by her four sons. Accordingly, her estate will likely be equally divided among her sons. However, this distribution scheme may not have been what Ms. Franklin had in mind. For example, at the time of her death, Ms. Franklin was in a long-term relationship; however, she and her partner never married. Under current intestacy laws, in order to inherit from your partner’s estate you must have been legally married at the time of death. Accordingly, it is unlikely that Ms. Franklin’s life partner will receive a share in her estate. Additionally, it is reported that one of her sons may have special needs. If an individual with special needs inherits directly, he or she could lose any aid currently being received and they may be otherwise at risk of harm. The musical icon also had a host of grandkids. By failing to execute a Will or Trust, no provisions can be made for their college or healthcare through her estate. Without proper planning, children with special needs may be harmed. Estate planning includes planning for those with special needs. Very often, individuals with special needs receive state aid, such as Medicaid, Social Security and even special housing. There are estate planning strategies, i.e., Special Needs Trust planning, one can use to create a legacy for their loved ones that will not jeopardize that individual’s eligibility for extra help. In addition, a Special Needs Trust is administered by a Trustee, whose responsibility it is to secure the assets in the Trust. At times, when people with special needs inherit directly (not through a Trust), they may be at risk of being harmed by those around them. The lack of proper planning means the estate misses out on efficient tax saving deductions! Aretha Franklin, an American icon, was well known for using her platform and deep pockets to support racial and woman’s equality initiatives. Given that Ms. Franklin neglected to sign a Will or Trust, her estate will not include any legacy distributions to advance any of these charitable causes. The lack of proper estate planning also means that her estate will miss out on crucial tax savings deductions, such as an estate tax deduction for charitable gifts. Presently, the federal estate tax rate stands at 40% for estates that exceed $11.2 million dollars. Luckily, for most Americans estate taxes will not be an issue; however, this is not the case for Aretha Franklin. It is unlikely that the legendary crooner would have wanted nearly half of her estate to be paid over to the tax authorities versus creating a legacy through charitable trusts to support her interests. The failure to plan could mean the estate’s loss of the superstars’ music rights and digital assets Highly specialized estate planning is required in order to protect the rights of an estate to a deceased artist’s royalties, musical works, and extremely valuable digital content. These rights are all governed by a mix of contract, copyright, and intellectual property law. Ms. Franklin’s failure to execute a Will means that her estate can possibly lose the ability to (1) market her musical works, (2) continue receiving income from the music she left behind, and (3) control how her music is used on a public platform.